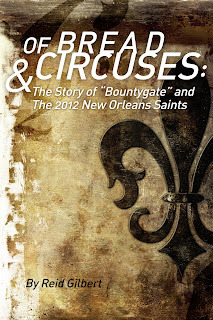 My Saints/Bountygate book is now available for purchase. Available for Kindle at Amazon here. Available for iBooks, Nook and virtually every other e-reader at Smashwords here. Also available directly through Apple, Barnes & Noble, and other retailers. 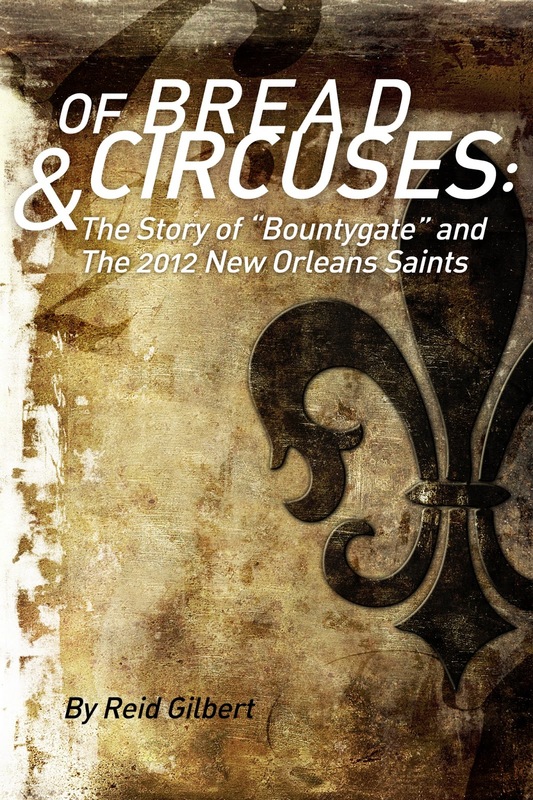 Of Bread and Circuses: The Story of Bountygate and the 2012 New Orleans Saints (OBAC) chronicles the New Orleans Saints' 2012 calendar year, and examines the events of Bountygate in detail. From a crushing January 2012 playoff loss in San Francisco to Sean Payton's reinstatement a year later, the Saints weaved their way through one of the strangest years in the history of professional sports. OBAC revisits the happenings of the Saints' 2012 calendar year; traces the roots of Bountygate; analyzes the saga's many distortions and misconceptions; offers a wider context for the events in question; and theorizes on the scandal's legacy.